The Ames Airborne Science Program had been established in 1971 using the Convair 990 (CV-990) aircraft. At the beginning of the Spacelab programme, discussions were held about whether these flights could add significantly to the planning for Spacelab missions. 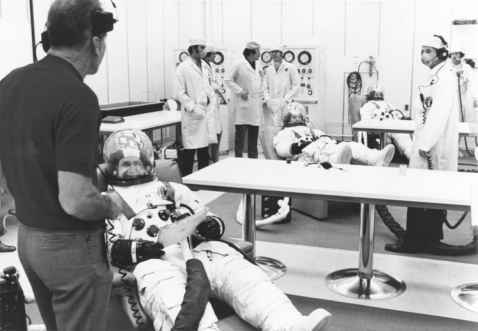 Representatives of NASA and ESRO (later ESA) were to participate in CV-990 missions to evaluate the facility for more dedicated Spacelab simulations. The first scientist-astronauts assigned to support these simulations were Joe Allen, Bob Parker and Karl Henize. Story Musgrave and Bill Thornton would work on ground-based Spacelab simulations, gathering baseline medical data.